Just 2 minutes walk from the harbour and restaurants of this famously pretty fishing village (pictured), comfortable Netmaker's Cottage is tucked between old fishermen's cottages in a quiet mews. It has its own pretty courtyard and garage (both rarities among these narrow streets!) 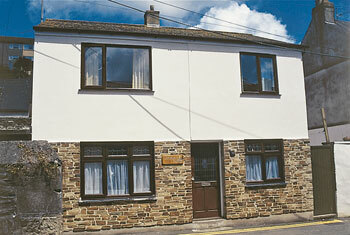 – ideally placed for enjoying village amenities and fishing trips in season. The Lost Gardens of Heligan, the exciting Eden Project and sandy beaches are about 2 miles. St Austell and golf courses within 7 miles. Many cycle trails. Nearest shop and inn 100 yards. Two bedrooms. Well equipped kitchen with dining area. Spacious sitting room with oil fire. 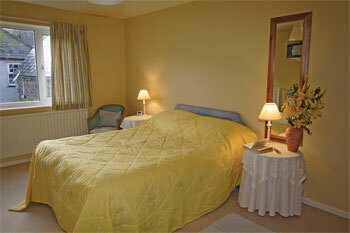 Narrow stairs to first floor: Spacious double bedroom with TV and additional single bed (for + 1). Twin bedded room. Bathroom/W.C. (electric shower over bath).